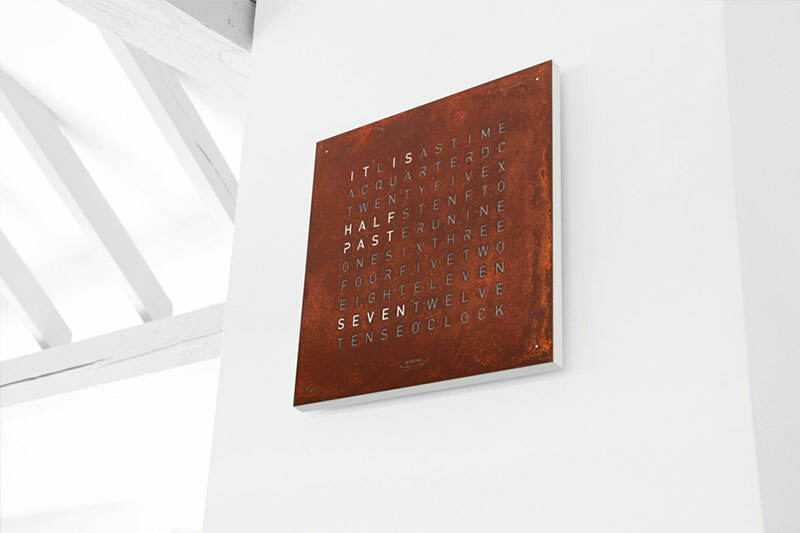 QLOCKTWO is a modern wall clock by Biegert and Funk that uses words instead of digits or hands to indicate the time. 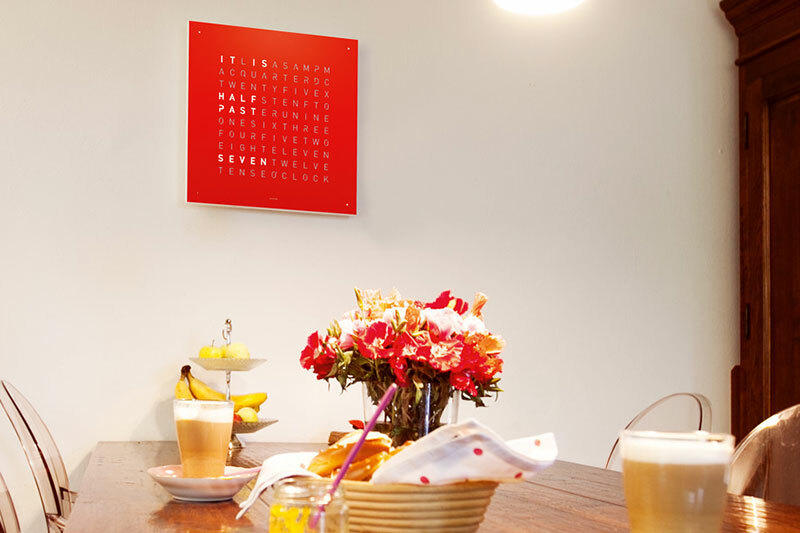 The clock displays the time typographically in combination with four illuminated points. 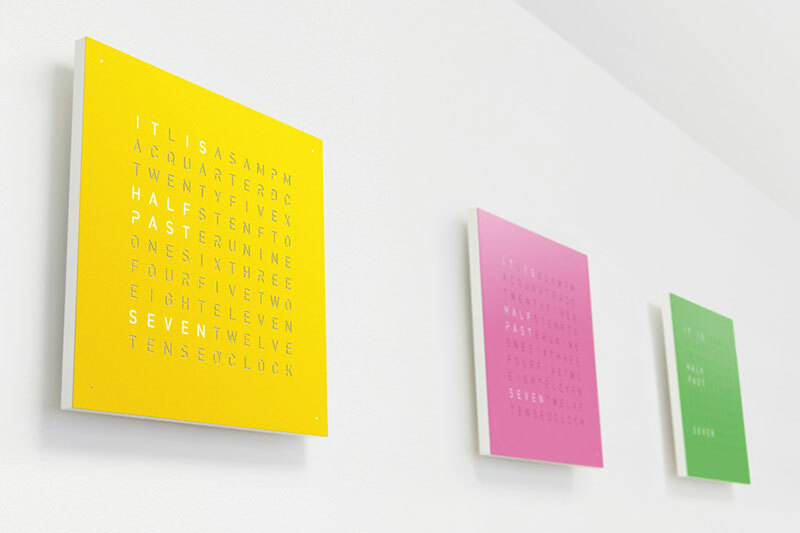 The words on the clock face changes every five minutes with the illuminated points in each corner representing the minutes in between. 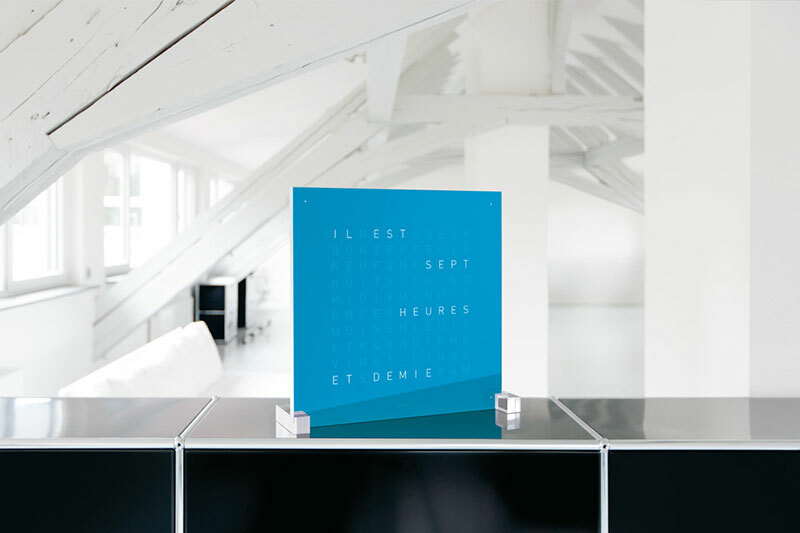 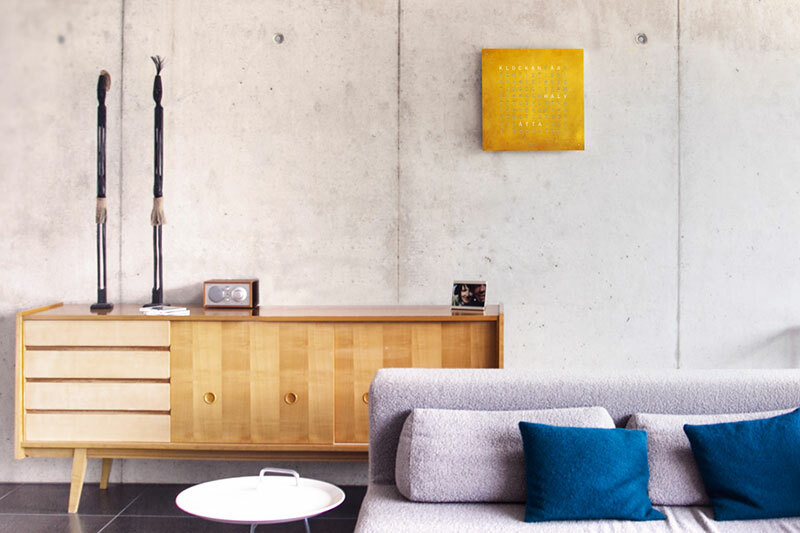 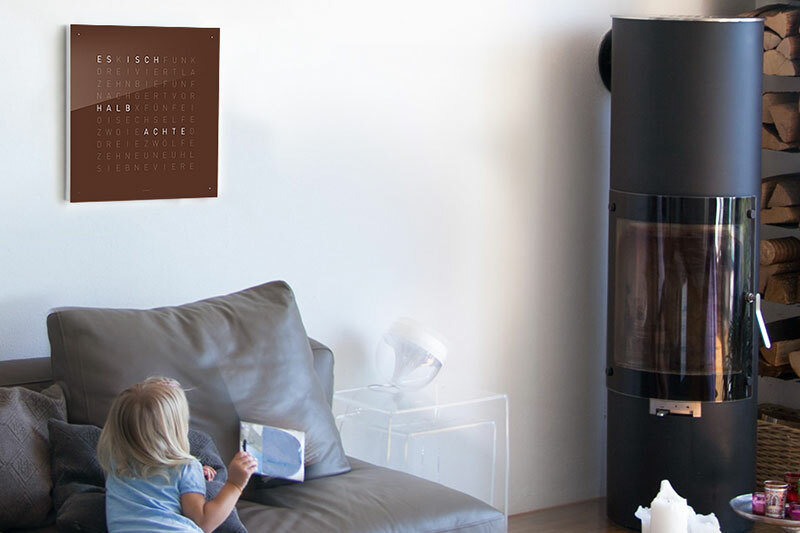 The front panel, available in 22 languages, is held in position by magnets so it can be changed quickly with texture options such as brushed or powder-coated stainless steel, polished acrylic glass in seven different colors and creator's editions. 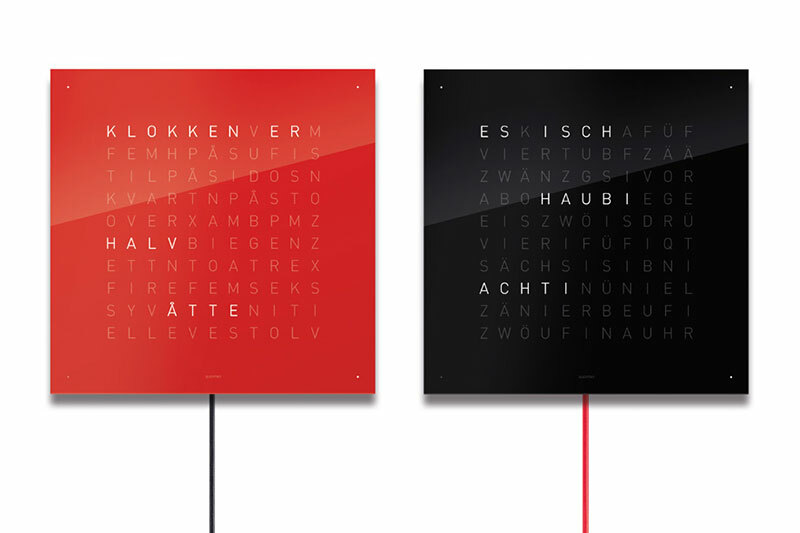 QLOCKTWO is a modern wall clock by Biegert and Funk that uses words instead of digits or hands to indicate the time.